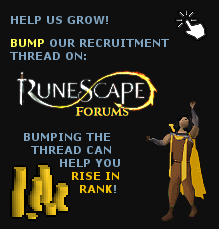 And I thought that it would be great to have a direction to our Runescape oldschool clan forum thread, so it's easier to BUMP it! Hello and thank you for your suggestion. 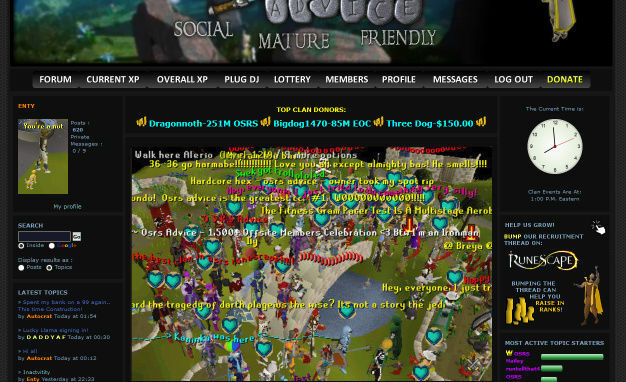 We used to have the XP tabs combined but received a lot of feedback to separate them for ease of accessability. So they will need to remain separate. That leaves us an issue of space. 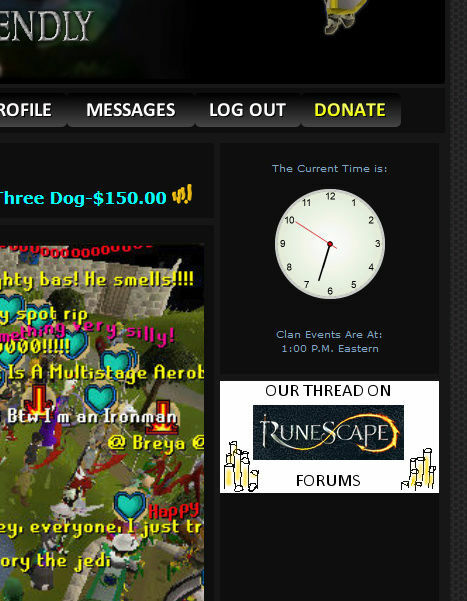 We used to have the clan thread in the header but as we added the lottery tab, it got bumped down. 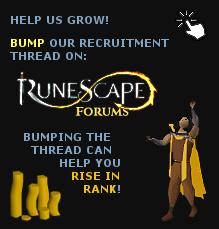 So, if we add the RS thread tab we would need to figure out which one would need to disappear. I will talk to grey about this suggestion. Thanks! The profile button probably doesn't NEED to be there since you can select your name in the top right beside notifications and select your profile. 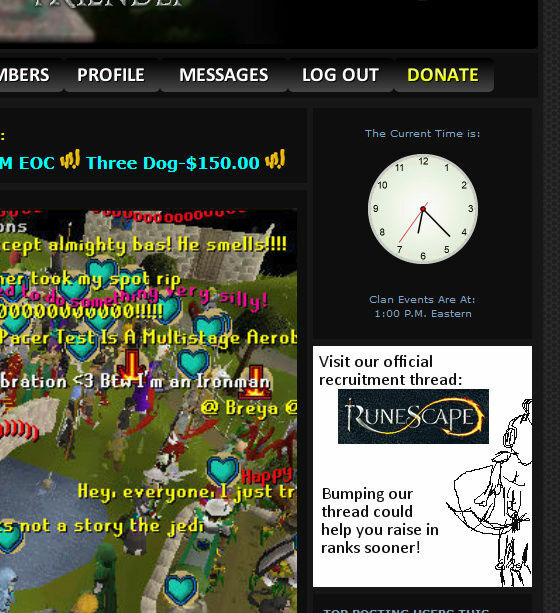 Just delete the Log out button, who needs that anyway?! But serious, I think this is a VERY good suggestion! i just checked header....When did we get a members list ? Members has always been there.. The CC Thread was removed because although it sounds like a great idea, the only clicks it received were accidental and did not generally result in bumps. 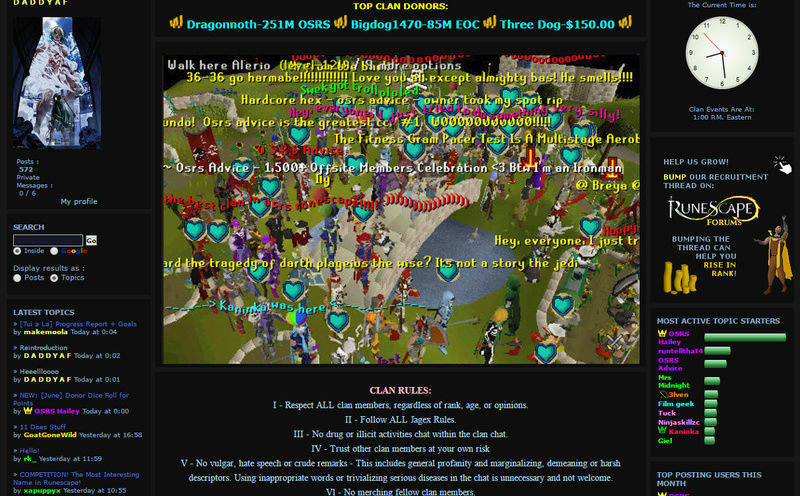 Most of the people in the clan who bump the forum already have it bookmarked. I'd be very happy to help! This one would have a clickable link bellow that would take people to the How to Best Get Promoted thread. Let them know right off the banner? Simple directional banner for those who already know what they're doing. This is basically a simple informational banner that fits in with the website. "Rise in rank" Just a correction. Looks nice though. Now I've got a bunch of cool elements layered I can start working on another idea that I've had, hopefully today! JUST A HEADS UP...as pointed out by Three Dog any link would have to be updated to V12...this also aplies to bookmarks and tag lines that include our qfc. Great work Alot of people are already using it! Also a shoutout to Envy for his design work and help in making this happen.